Home cinema installation, smart home automation and home audio. We cover the South East of England across London, East Sussex & Kent. Ashdown Smart Entertainment offers you the ultimate sound and vision experience delivering the latest 4K movies and high-resolution music into every room of your home or your custom built home cinema. Ashdown home cinema installation service not only offers you multi-room audio & TV distribution but they can make the technology disappear so you simply interact with your favourite movies and music from an easy-to-use interface, such as a hand-held remote, tablet or smartphone. To talk to one of our designers or engineers, please contact us. Our home cinema installation, home audio and smart home automation systems use the finest technology available. Not only do we supply some of the finest equipment available on the market, but our home cinema craftsmen are able to create environments that will provide pleasure for many years to come. We will design, build and commission entertainment environments that suit your unique listening and viewing tastes. Ashdown Home work with some of the UK’s top interior designers in order to create sympathetically designed home cinemas. Attention to room acoustics, surface finishes, seating and lighting are all addressed at the design stage. Take the opportunity to consider a home cinema when building a new home or extension. Plans can be made in advance therefore ensuring the proper wiring is in place avoiding costly interventions after your building is complete. We have a proven track record of excellent working relationships with other building professionals. We only use the finest technology which is specifically tailored to each individual project. Ashdown Smart Home Automation integrates all of the technology in your home thereby creating brilliant experiences that fit your life and are easy for your whole family to enjoy. With one touch, dim the lights, play music, turn up the heat, lock the doors or arm the security system. Check on your home from your smartphone too, no matter where you are. With full automation and integration we can allow your house to respond to your schedule and needs without touching anything at all. 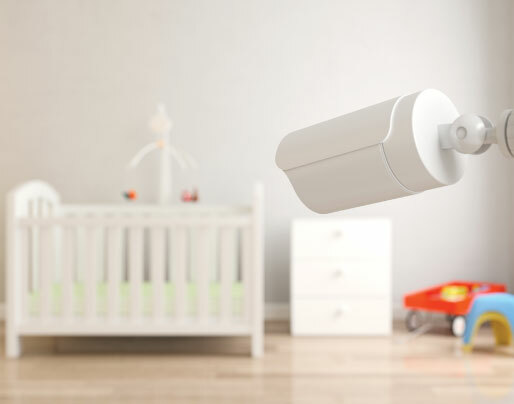 There are many smart devices available today—TVs, thermostats, door locks, CCTV, blinds and curtains, even light bulbs that you can control with apps on your smartphone. Integration allows all the apps and solutions to work together seamlessly. That, is when your home truly becomes smart. Change the way you listen to music, forever. Fill your entire home with the same music or have your favourite playlist follow you from room to room. Stream video from your own sources and links, throughout your home from room to room. Program your blinds and curtains to close at dusk automatically or as you switch on your lighting. Remotely control your settings at home or from your smartphone. Check in on things at home from wherever you are. Receive alerts when someone enters the house, the garage door is left open, or a leak is detected in the basement. Intelligent security gives you peace of mind so you can rest assured that all is safe. Raise or dim any light in the room or brighten the entire house with a single touch or by using just your voice. Or have your lighting respond automatically to how you live. It’s not just smart, it’s brilliant. 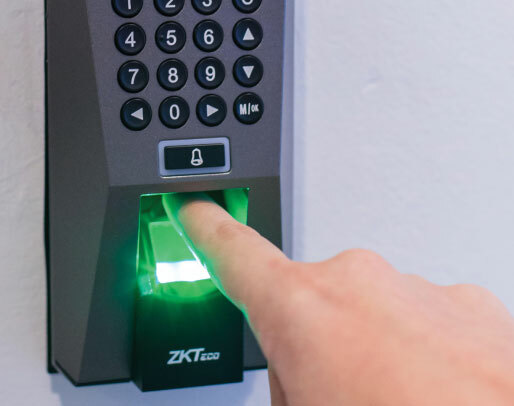 Operate doors, gates and locks remotely or via fingerprint scanning control or key fob. Monitor, record and stream closed circuit tv surveillance. Adjust climate settings on the thermostat from a touch screen or smartphone. Allow temperature and humidity to adjust according to the season. Even light the fire without ever leaving the couch. Strong, consistent wifi signal throughout our homes has become paramount. Continual unbroken access to the information highway and communications technology such as Netflix, Amazon, Skype and Spotify is now essential to our commercial and domestic lifestyles. Ashdown are a dynamic audio-visual engineering company with a highly experienced team of designers and engineers. We pride ourselves on building long-term relationships with our clients. Every one of our engineering staff is a skilled professional in their area of discipline. We are committed to maintaining a caring, listening attitude towards our clients and the skilful application of appropriate technology. Our clients are our most important asset and we’re serious about pleasing them. Our skill set includes sound, vision, lighting, IT (hardware and software), radio, electrical and mechanical engineering, and we enjoy the challenge of building systems around real people using the best technology available. We principally work in the South East region of England including Greater London. If you would like to know in more detail about the equipment we use in our home cinema installation, entertainment and automation systems, our engineers will be happy to discuss this with you. Alternatively you can visit our parent website www.ashdownav.com and download some of our case study data sheets. Our extensive experience of working within listed buildings such as Westminster Abbey and complex IT infrastructures such as Sussex and Brighton Universities enables us to successfully and confidently carry out installations for a wide range of building types, old and new. Our control systems are intuitive and simple to use. The techno logy we install rarely goes wrong, but if problems do occur our engineers will be available at the end o f a phone or email and are happy to visit if required. We understand that discretion is important for all of our customers. We work with this in mind and make every effort to keep our projects confidential. We are proud of our ISO 9001 status.The accreditation provides a sound framework for companies who want to ensure that their products and services consistently meet customers’ requirements, and that quality is consistently improved. This standard is based on a number of quality management principles including a strong customer focus, and our continual commitment to improve the service we provide. Home cinema design and build. Fully integrated with Smart Home automation. Home-wide sound systems allowing control throughout your home. High quality sound systems for audiophiles. Integration of blinds, curtains and window controls. Integration of gate and security systems. Temperature and humidity control systems. Sound and visual intercom systems. Seamless Wifi systems throughout your home and garden. Away from home remote control via smartphones. 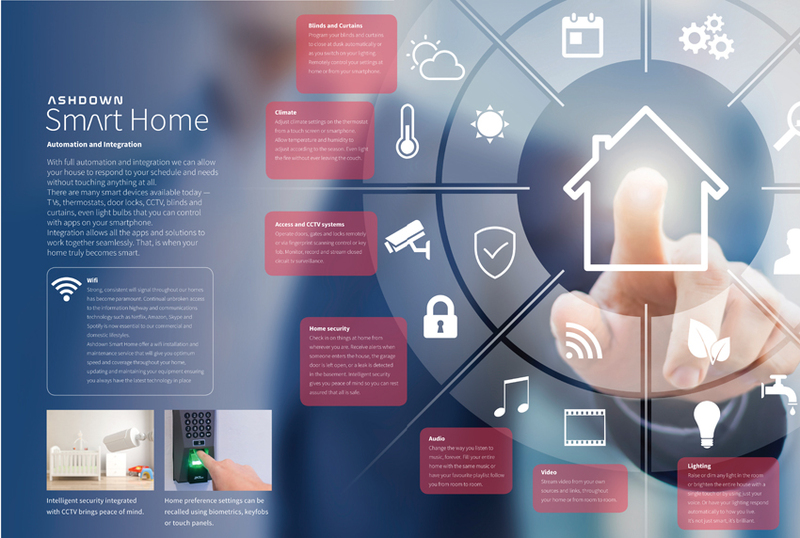 Control at home via smartphones and tablets. We are more than happy to talk through your requirements and make suggestions in relation to your home cinema, home audio, smart home and automation needs.